A total of 151,967 people have been fired from their jobs since July 15, 2016. 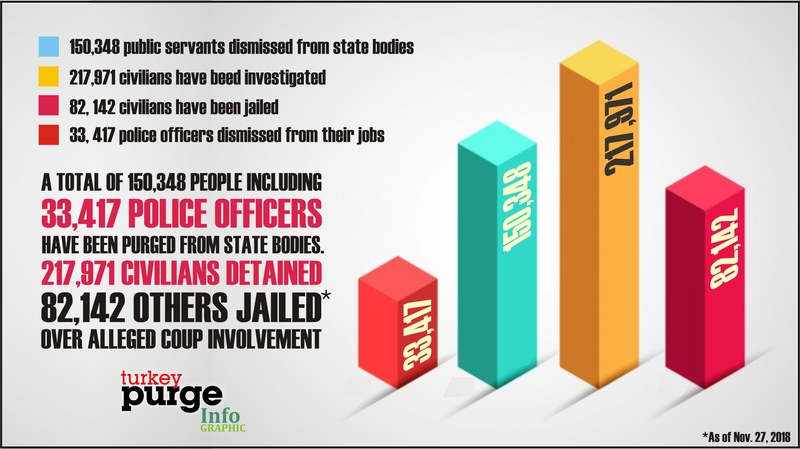 Teachers, Prosecutors, Health Workers and Judges Consist of 30 Percent of All Purged Public officials. 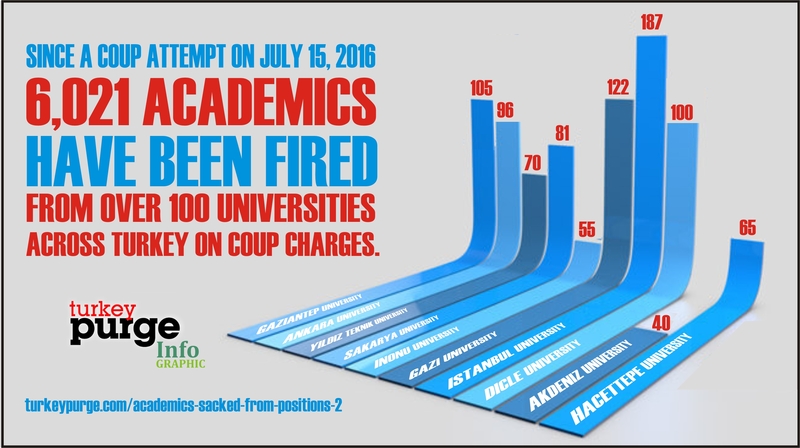 5,822 academics have lost their jobs since July 15, 2016. 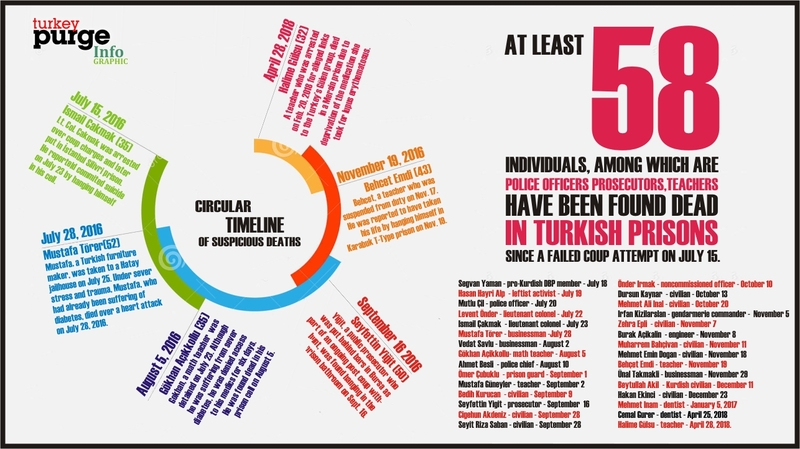 Turkey's purge by job category.